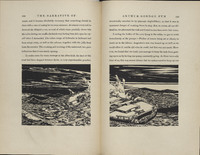 Jules Verne, who is included in this exhibit for his Crusoe influences, later wrote a sequel to this work, titled An Antarctic Mystery. This work also influenced Yann Martel’s Life of Pi, also featured here, as Poe’s character Richard Parker is the namesake for the tiger in this work. 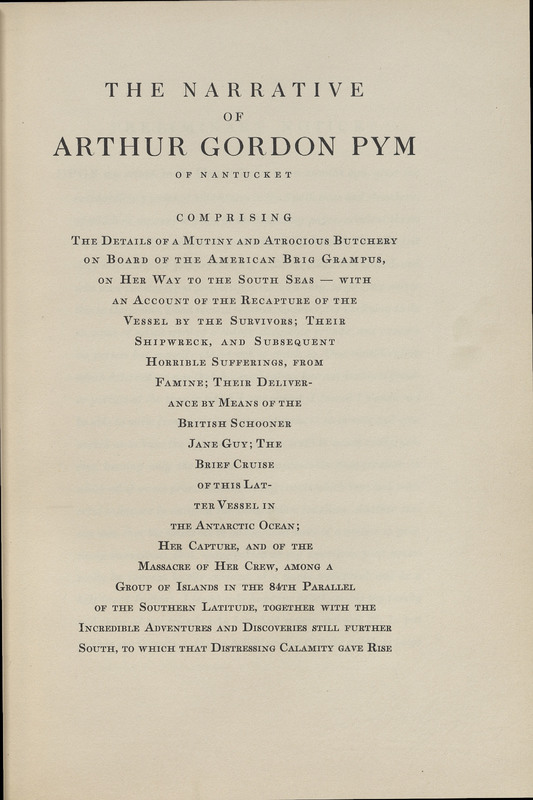 The Narrative of Arthur Gordon Pym. New York: The Limited Editions Club, 1930.